Martin Weigt co-organizes the conference "Statistical physics methods in biology and computer science", a satellite of StatPhys2016, Ecole Normale Superieure, Paris, July 11-16, 2016. It will cover recent progress on the use of methods from statistical mechanics of disordered systems for high dimensional problems related to biology and computer science. Organizers: Simona Cocco, Florent Krzakala, Remi Monasson, Guilhem Semerjian, Martin Weigt, Lenka Zdeborova. We published a new generation domain annotation approach, demonstrating that "multi-source" domain modelling is more appropriate than "mono-source" domain modelling for capturing remote homology. We re-annotate the Plasmodium falciparum genome. F. Devaux's team published one of the first ChIP-seq-based description of the transcriptional regulatory networks in the pathogenic yeast Candida glabrata. 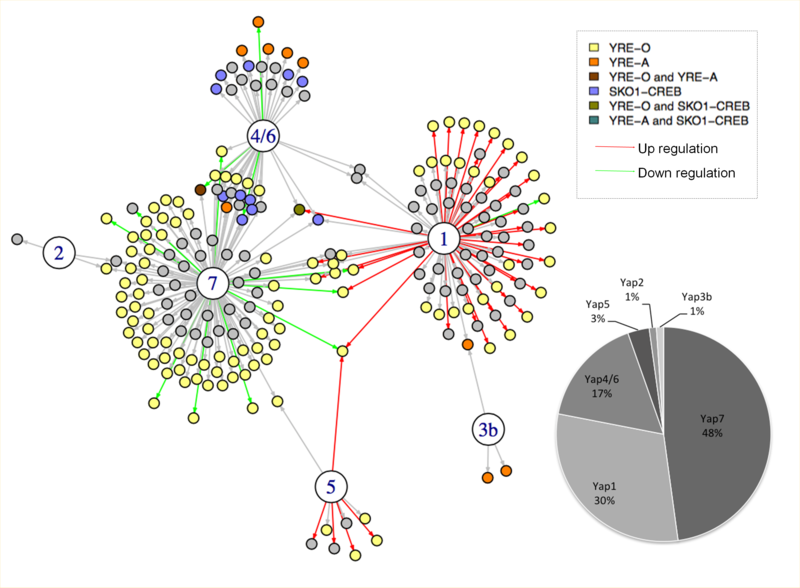 This work, which was performed in collaboration with J-M. Camadro and G. Lelandais from the Jacques Monod Institute and with the NGS platform directed by S. Le Crom, is the first publication from a larger ANR project aiming at a comprehensive description of stress response regulatory networks in this emerging human pathogen. On June 21, 2016, LCQB was the Paris Hub for the Global City Sampling Day, an international study of antimicrobial resistance spanning six continents, 32 countries and 54 cities. This event brings together more than 400 people, expected to collect about 12.000 samples of DNA, RNA and microbes from surfaces in well-traveled public meeting spaces. The data will help scientists of the MetaSub Global consortium better understand antimicrobial resistance in urban centers, and also identify new, naturally occurring drugs made by microbes, known as biosynthetic gene clusters. UPMC students in Computer Science and Molecular Biology, together with researchers collected more 80 samples at the entrance of parisian subway stations. The Paris event was organised by Hugues Richard (Analytical Genomics) and Ingrid Lafontaine (Biology of Genomes). Marco Cosentino Lagomarsino co-organizes the second edition of the workshop: "Quantitative Laws II. From physiology to ecology, from interaction structures to collective behavior". World Community Grid posts a news on Joint Evolutionary Trees 2 (JET2), a new large-scale method to predict protein-protein interfaces based on sequence and structure information. 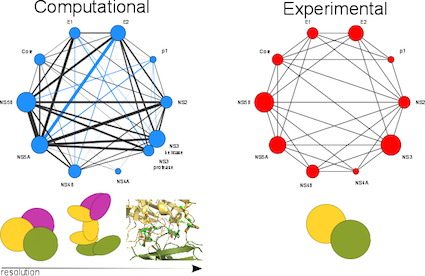 A novel computational approach of coevolution analysis allowed us to reconstruct the protein-protein interaction network of the Hepatitis C Virus at the residue resolution. For the first time, coevolution analysis of an entire viral genome was realized. Champeimont R, Laine E, Hu S-W, Penin F, Carbone A. Coevolution analysis of Hepatitis C virus genome to identify the structural and functional dependency network of viral proteins. Scientific Reports. The team of Diatom Functional Genomics just published a paper describing how marine diatoms efficiently attune acclimation responses in highly variable ocean environments. L.Taddei*, G.R. Stella*, A. Rogato, B. Bailleul, A.E. Fortunato, R. Annunziata, R. Sanges, M. Thaler, B. Lepetit, J. Lavaud, M. Jaubert, G. Finazzi, J.P. Bouly, A. Falciatore. 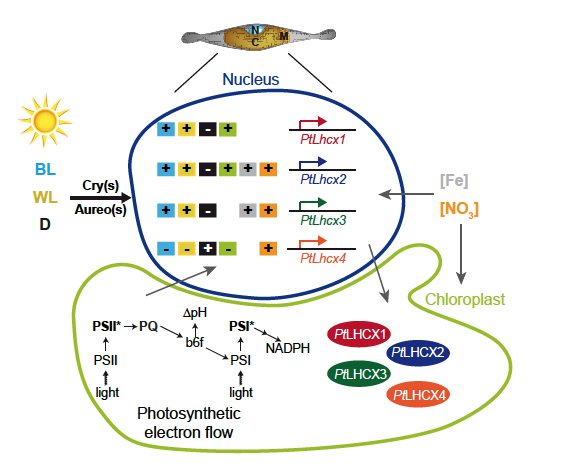 Multi-signal control of expression of the LHCX protein family in marine diatom Phaeodactylum tricornutum. Journal Experimental Botany, in press.